That’s the number of forcibly displaced people across the globe who have fled their homes to escape violence and persecution, seeking safety, comfort, and home, oftentimes far from those they knew. Today, on International Migrants’ Day, we recognise migration as a courageous expression of people’s will to overcome adversity and to live a better life throughout history. Refugees, perhaps more strongly than any other example, represent just this. Migration, however, does not come without challenges: in countries like Jordan and Lebanon, which accept a high number of refugee migrants, communities feel the impacts of migration across borders. Employment, education, and infrastructure are just a few things that are affected by the millions of refugees and migrants that cross into these countries. Wala’ and Zakaria speak at the 2018 Geneva Peace Talks at the UN Palais de Nations about “Peace without Borders.” You can hear their full speech here. It is not hard to imagine that these challenges can create tension and often violent conflict between local host communities and the refugees and migrants seeking to settle down in them. 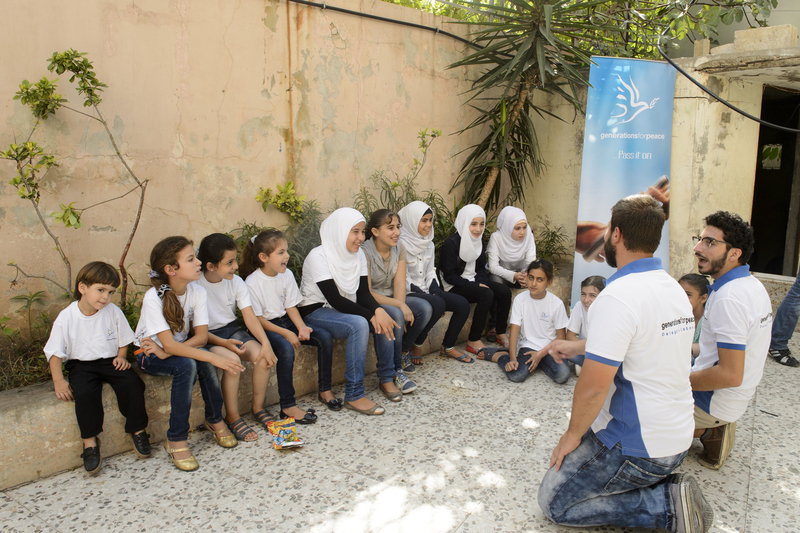 Communities like these are where Generations For Peace works to build sustainable peace from the grassroots in Jordan and Lebanon, as well as in local contexts in countries around the world. This lasting peace is built with the recognition that the physical borders crossed by refugees and migrants must not be the only ones. Borders that most of us encounter every day – borders of impact, expectation, and generations – play an important role in how we transform conflict and build peace between refugees and their host communities, and beyond. 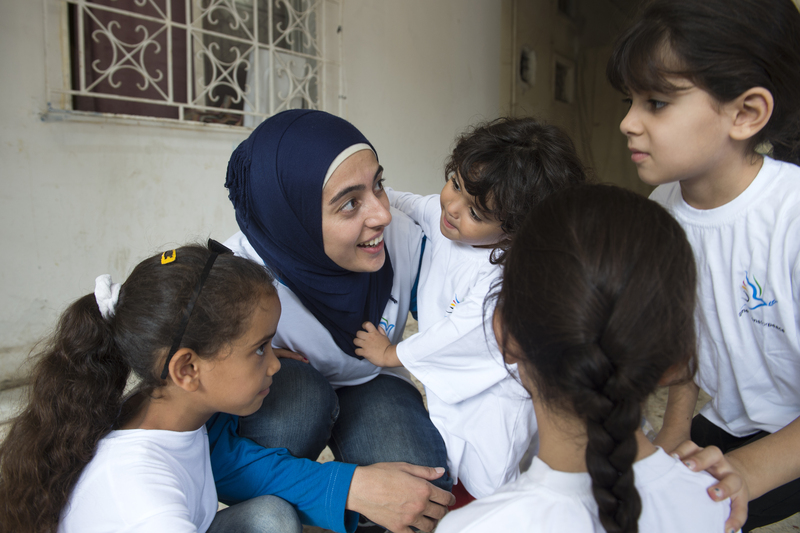 Generations For Peace is first and foremost a volunteer movement. Yet when it comes to volunteering, some might be tempted to draw lines between “real life” – careers, families, friends – and the time we spend as a volunteer. Engaging with people at the grassroots who already leave an impact as a teacher or coach or leader allows volunteers to migrate across that border between our “real lives” and our “volunteer lives.” Instead of building a ‘new impact,’ we are able to deepen and broaden the impact that our day-to-day lives already have. This is especially important when our contexts grow and change. Today, as hundreds of thousands of refugees integrate into local host communities, this change is inevitable, making the need to cross borders of impact ever more important. Peacebuilding is often seen as a diplomatic and high-level process. But when we are working within local communities – especially when we are trying to engage children and youth – we need to be courageous in our innovation and in defying expectation. 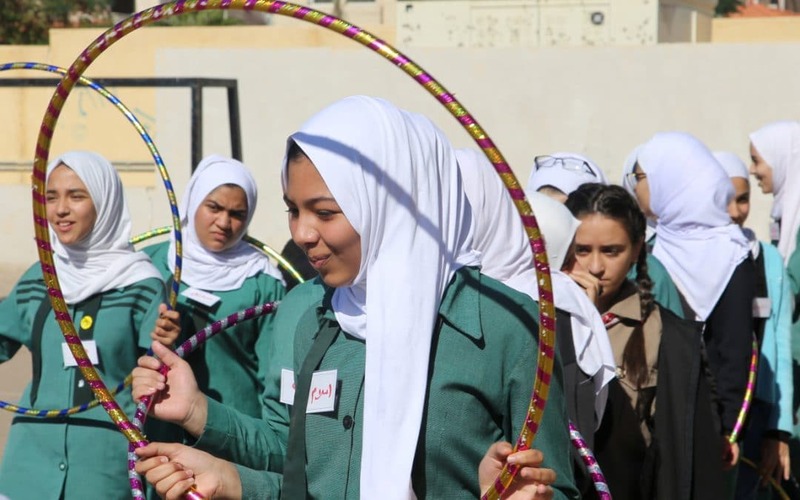 Much of the peacebuilding work GFP volunteers do involves using everyday activities like sport and arts to break down barriers and transform conflict. Both arts and especially sport, are becoming widely recognised as effective ways to invite people to cross the borders of expectation and prejudice that once divided them. 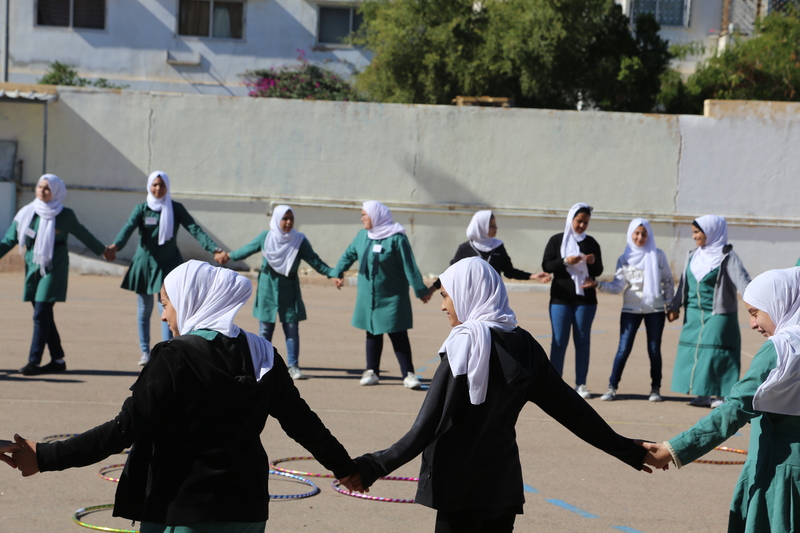 Sport is a universal language that can be understood by anyone – migrant refugees and host communities, alike – making it an effective form of peacebuilding across cultural and societal borders. By fostering active tolerance and acceptance of others, we cross the border of expectation, creating safe spaces that provide the opportunity for those whose voices might not yet have been heard to share them in a way they might never have thought possible. Lasting peace is not just up to us – it is up to those we are involved with. 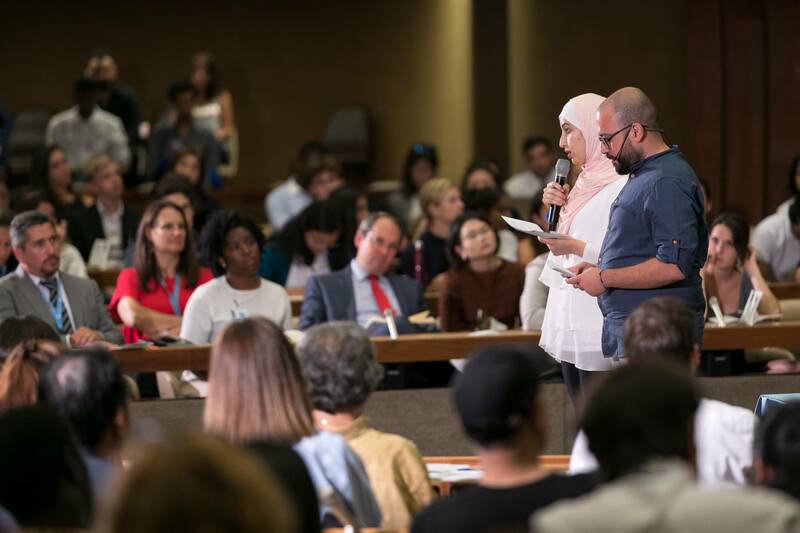 If we expect the peace we’re building to outlive us, we must be actively passing it on by crossing generational borders – building not only peace, but also peacebuilders who can continue that process. This is why GFP focuses on youth empowerment and youth leadership in the peacebuilding process. In order to create peace in the future, we must place our trust in those on whom future peace rests. By building genuine relationships not only across divides of race, religion, ethnicity, gender, nationality, and tribe, but also within and across generations, we create an opportunity for peace, itself, to migrate across borders, and for those who carry it to pass it on.